Back in March I had the pleasure of consuming Chicks Dig Time Lords, a brilliant collection of essays about female fandom as it relates to Doctor Who. It is a fun and interesting read, I promise there is something there for everyone (review HERE, order HERE). Seriously, pick it up – ultimate Summer reading! So where did this project come from? How did it evolve? Tara: For me, it all started with a tee-shirt. Before my first Gallifrey One convention in 2006, I designed a shirt with the words “Chicks Dig Time Lords” across the front. It amused me both as a pure statement of fact (They so do) and stepping out into the spotlight to point out that there are plenty of female fans of both the original and new series. In the summer of 2007, the Mad Norwegian publishers Lars and Christa stopped off in Chicago for a night, and I pitched to them the idea of a “geek girls’ guide to Doctor Who fandom”. However, it quickly evolved into an essay collection. The publisher was very staunchly opposed to the idea of a scholarly collection of dry essays, and instead we decided on anecdotal essays about women and their roles in the series and fandom. Lynne was brought onto the project in February 2008, and we worked together on soliciting essays and interviews, and shared the editorial chores although in the end she took on a most of the “heavy lifting”. The book simply wouldn’t exist without her. Given that Doctor Who has one of the biggest international fan-bases for any property, how did you decide who would be a part of your project? Lynne: Tara’s pitch included a list of possible contributors, drawing from her experiences as a fan and frequent attendee of Doctor Who conventions. We were very lucky in that many of the names on that original list ended up contributors in the final product. We tried really hard to have a diverse cross-section of female fandom from around the world, but it’s always difficult because not everyone you ask can participate. Ultimately, our essayists provided viewpoints from both outside of fandom, and inside very different parts of it. Essayists were suggested to us by friends, the publisher, other Mad Norwegian press contributors, and professionals with whom we worked in other capacities. For example, I ended up bringing in almost 2/3rds of the final contributors using the connections forged in my day job as the Head of Rare Books and Special Collections at Northern Illinois University, where I archive the works of SF/F authors: it turned out that there were quite a few Who fans among those authors. Once you had a direction and a sense of who you wanted to be involved for CDTL, how long did this take to put together? Tara: From pitch to publication was approximately two and a half years. The first year a lot of time was spent nailing down the concept of the book with our publisher and casting our net far and wide! There was a lot of give and take with the publisher, for whom the book was new territory as Mad Norwegian had never published an essay collection before. Over that first year, we narrowed our focus and really refined the idea of a collection of primarily women’s voices in a publishing niche that had previously been almost entirely male-dominated. In the midst of working on the book, we also were working our day jobs, dealing with family emergencies small and large. But we got there in the end–and that’s what counts. If I can be snarky, were there people who wanted to be involved that your better judgment told you to slowly back away from? Lynne: Not really. Everyone we approached was quite complimentary about the book, but there are always folks that have to turn down opportunities to contribute due to time constraints and professional commitments. We weren’t well-known enough for anyone to come busting down our doors only to be turned away in tears. Now that the book is out there, though, we’ve had a lot of people asking if and when we’ll be doing another one! I’m sure, it’s a very popular project. Why pick Mad Norwegian Press from your book? Tara: I had been sitting on panels with Lars and Christa for several years, and knew them well enough to pitch it to them very informally. Lars and I in particular were paired on a large number of panels at both Chicago TARDIS and Gallifrey One, two of the largest and best attended American Doctor Who conventions precisely because we were known for good “point-counterpoint” type discussions. And Christa and I met at the very first “Squee Girls” panel at Chicago TARDIS in the Autumn of 2005 which was a huge part of what led to the book. By the summer of 2007, there was a solid foundation of trust, friendship, and mutual respect there, and I knew they would be the perfect publisher for a slim little volume like Chicks. Being the editors, I know you really can’t pick favs, but what was the most surprising essay for you to read? Tara: To be honest, Carole Barrowman’s! 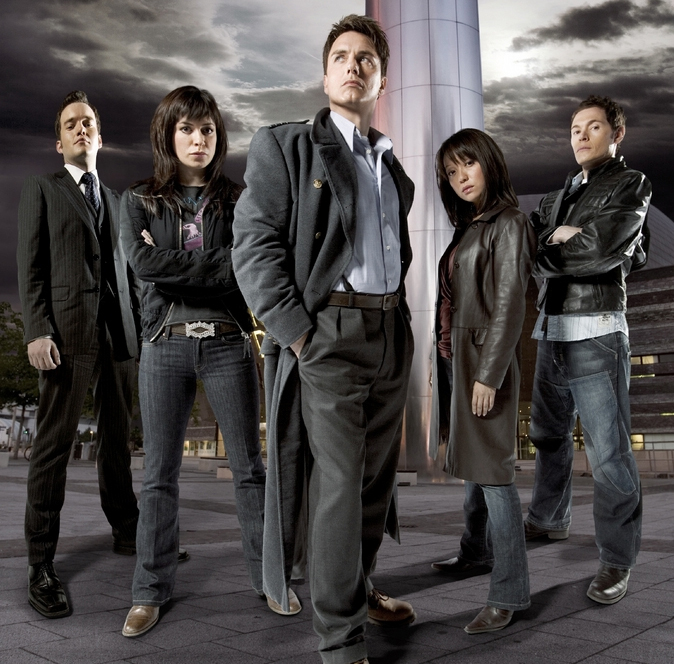 I have never been much of a Torchwood fan so I hadn’t read her co-authored autobiography with her brother John. As a result, I had no idea what we were in for, and what a ride! She’s an incredibly witty, sharp, and entertaining lady and her essay was a joy to read from start to finish. Lynne: For me, the two most surprising essays were Seanan McGuire’s and Johanna Mead’s. They showed aspects of fandom I had little familiarity with, and did so in a really entertaining manner. Tara: I’m currently working with Hirst Books, designing covers for several of their fiction and non-fiction books, and taking a much-needed break from being on the editorial side of things! And I’m continuing to work with Seanan McGuire, Claudia Gray, Rebecca Anderson and other genre authors on their websites. But I’d love to contribute to some of the fabulous fannish essay books out there by publishers like BenBella and Pyr. Many of my clients and friends are frequent contributors, and while I may never edit another collection, I’d love to continue to contribute to them. Where did you get your start on the dark path of being a fanboy (girl)? Tara: I grew up with parents who told me Wonder Woman bedtime stories, took me to Star Trek films, and I think the first book I learnt to read when I was about 4 was Captain Marvel Goes To The Circus. But I didn’t fall head-first into fandom proper until my early teens, when I started attending Star Trek conventions. Comics and fan-run media shows followed, and it’s all down-hill from there! Now you can find me in the bar at least three times a year at various local conventions. Lynne: I married in. No, seriously, I did. I had never truly experienced fandom until I fell in love with a Doctor Who fan. It’s been an awesome ride, and I’m so happy to have found this community of fans. (My essay in the book is actually all about this topic). Anyone who knows me, knows that Erin Grey will always hold a special place in my heart, Who was your first fan-crush? 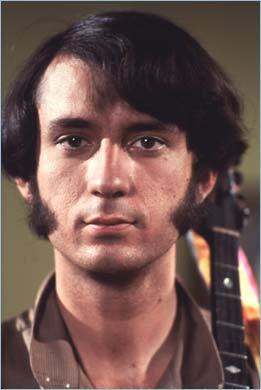 Tara: To be fair, I should probably say Mike Nesmith from the Monkees. But since I was 5 years old, I’m not sure that can count as a true crush. However, when I was 13 I was head-over-heels in love with Chris Barnes who played Scott Hayden on Starman. I think I wrote him a half-dozen letters during the year the series was on the air, and bless him, he responded personally. Lynne: Patrick Swayze from Dirty Dancing was my first real fan crush when I was 13. In Doctor Who fandom, though, my first fannish crush—in the sense of thinking that Ace was the Awesomest. Character. Ever.– was on Sophie Aldred Ace was really the character that made me a fan of the series. I made Tara conduct the interview for the book with her because I was too tongue-tied! Romantically? I fancy David Tennant. Shocking, given that he’s a huge Doctor Who fan, and I married one myself. As far as your fandom goes, is Doctor Who your first love? Tara: I didn’t actually see Doctor Who until my late teens. I think the first series I was genuinely fannish about–drawing stories and writing fan fiction–was He-Man and the Masters of the Universe when I was about 11. But Trek was my entry into fandom proper. From there, I was introduced to Robin of Sherwood, Doctor Who, and all sorts of fabulous fannish communities. Lynne: Doctor Who is one of my first loves, along with Xena: Warrior Princess. I’m also a big fan of the Whedonverse. How do you think Matt Smith will do, having to be compared to the incredibly phenomenal work of both Christopher Eccleston and David Tennant in the current run of the series? Tara: I’ve been very impressed with Matt Smith’s Doctor! I haven’t felt the kind of enthusiasm I’ve been reveling in with the Eleventh Doctor and Amy Pond since the series first returned in 2005 with Eccleston and Piper. I’m enjoying the stories and characters tremendously. Lynne: I’m enjoying Matt Smith immensely, and never doubted for a moment that he was the Doctor. He completely inhabits the role. He’s great! Straight out, who is your fav Doctor? Fav assistant? Tara: As much as Rose was part of what drew me back into Doctor Who, my absolute favourite of the RTD era companions was Donna Noble. And the Ninth Doctor will probably always remain “My Doctor”. But growing up, I was all about Romana and the Fifth Doctor. 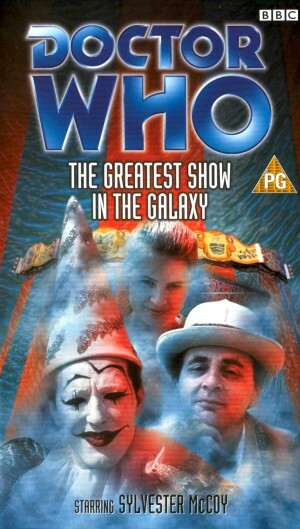 Lynne: Before the new series, I was a Seventh Doctor & Ace fan. Now the Tenth Doctor is “my” Doctor. I love all of the companions for the new series something fierce, but Donna Noble is probably my favorite, just by a tiny margin. All the love for Donna, very nice! I have four daughters at home who are all Doctor Who fans, if they want to scare each other before bed all one of them has to do is start asking “Are you my mummy?” or start saying “blink and you’re dead!” or maybe even “you know the clock is broken, what’s that ticking noise?” and hysterics ensue… do either of you have a Doctor who baddie that might keep you up at night? Tara: I’ve never found the Weeping Angels or the Daleks as frightening as I probably should. But one of the only times I felt genuine dread while watching Doctor Who was probably during “The Empty Child”. We may joke about “are you my mummy?” being a silly catch-phrase now, but watching that episode alone in my darkened bedroom? Bad plan. Seriously. Lynne: The creepy clowns from “The Greatest Show in the Galaxy,” hands down. *shudders* Yet another reason I love Ace: she hates clowns as much as I do. Thank you two so much for talking with us and I look forward to your next projects and seeing you at cons!